Our little slice of the world, here in New England, was full of amazing color contrasts during our early morning run today. 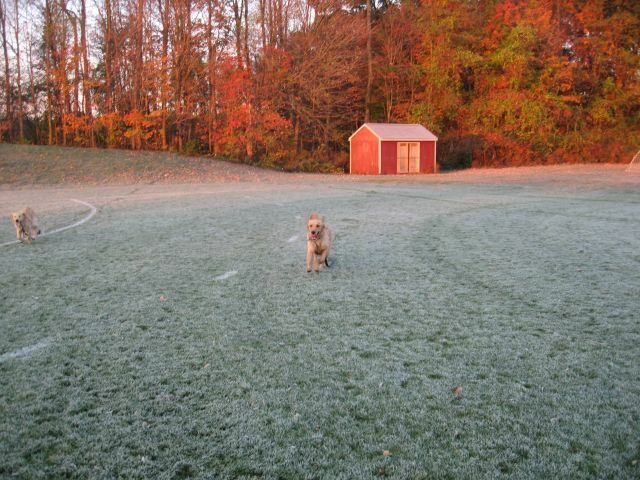 The orange and reds were still brilliant on the trees surrounding the fields, while a crunchy frost blanketed the playing fields like a thin carpet of snow. 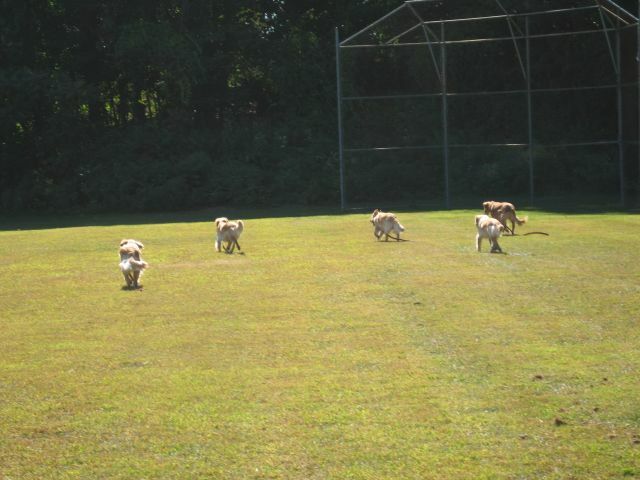 The physical exercise and crisp air is energizing, but even more satisfying are the happy smiles you can see on our dogs’ faces as they celebrate these priceless moments of real freedom and playtime. Most of my thoughts and energies this week have been taken up in preparation for a return to the Dominican Republic on Saturday morning. We have assembled another team of very talented men and women to render as much Surgical, operative Gyn, and OB care as possible in one week. It is amazing to see a full surgical OR take shape in about four hours of hard work with the supplies we bring and the larger equipment that is already in the country. This year we will be going to the mountainous central part of the Dominican where poverty and no access to quality health care is just as prevalent as the desert area we visited last year. The local population has already been informed of our coming, and the lines of needy people I expect will be long and heartrending. This kind of work pushes you way outside your usual comfort zone, and the hazards of being there are real. I especially hope not to end up in the hospital again upon my return like I did last time. (See the post “Of This and That“). In the paper today, it mentioned that the entire Dominican Republic of nine million plus people, lost power yesterday as the result of an unexpected storm. When away from the self contained luxury resorts, life there is as precarious as their utilities. 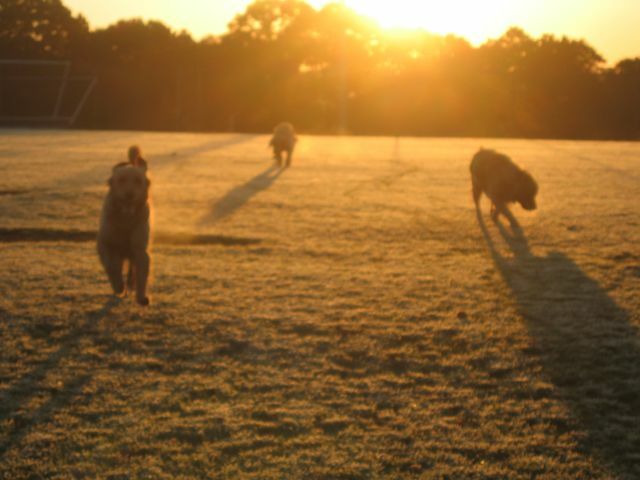 So this morning, the solitude on the fields was especially important to me, while I contemplated the upcoming hardships and joys yet to be experienced, and at the same time worried about the safety of these folks who I am responsible for, on a mission a fair number have never undertaken. 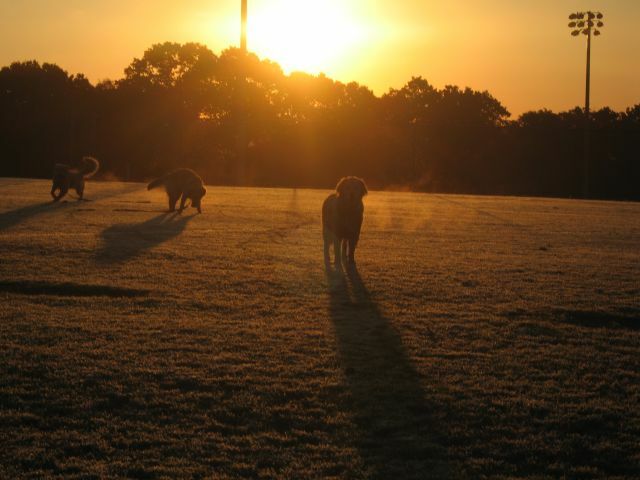 Unbelievably, at that very moment, the rising of the sun struck the dogs and fields in an unexpected brilliant glow that was almost spiritual. With such a sudden, unanticipated, beautiful moment, I had the certain thought that there is a greater being than ourselves out there, and that everything will work out. So this will be the last post until I return. We plan to ultrasound our Riley this Friday before I leave, and again when I return. I will try to put up a quick note about the results on Friday evening for all those waiting to hear. 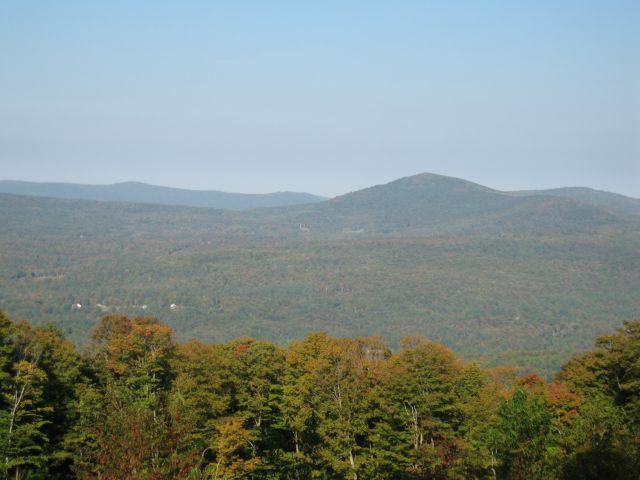 A few weekends ago, we had our annual neighborhood men’s retreat at our home in Vermont. We used to play golf and fill the weekend with multiple activities. Now we all just look forward to enjoying the solitude and catching up on rest and each other’s lives. A sure sign we are getting older. 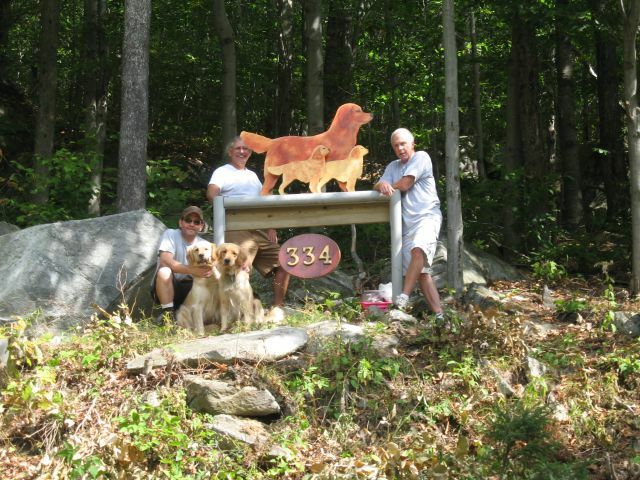 Three years ago at one of these get away weekends we had raised our Vermont home sign with the help and input of everyone visiting. 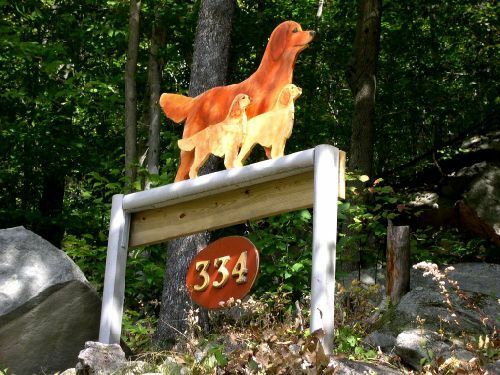 The harsh winters took their toll however, and despite the multiple coats of marine varnish, the dogs came down this past summer for a makeover. We are blessed to have had the skills of Andy Baron, friend and neighborhood artist extraordinaire. He repainted everything and then we set about adjusting the sign to withstand the frigid winds and snow that will soon be visiting that area. That area of mountaintop has special significance to me as that is where Abby’s ashes are scattered along with the remains of our beloved Molly. It is on that mountainside and rocky slope that I conceived “Abby’s Message”, the poem that graces our website. This is a wonderful spot for quiet contemplation. 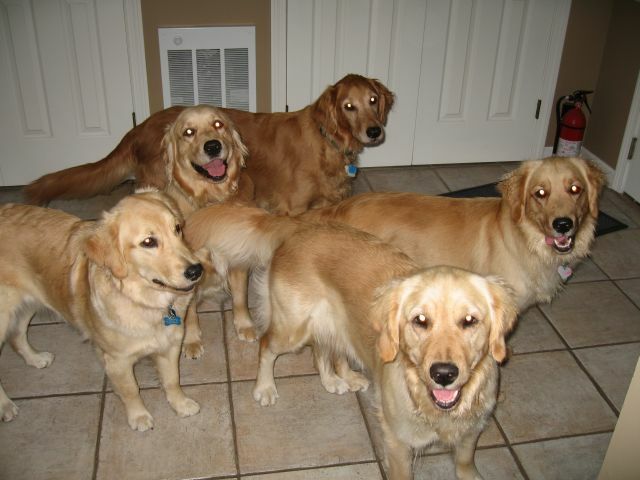 We’ve been getting some great photos from the owners of a number of Emma’s puppies from her litter last December. I thought it would be fun sharing them with everyone. First, Ken Muccino forwarded some images of Rosie with her older buddy Holly. 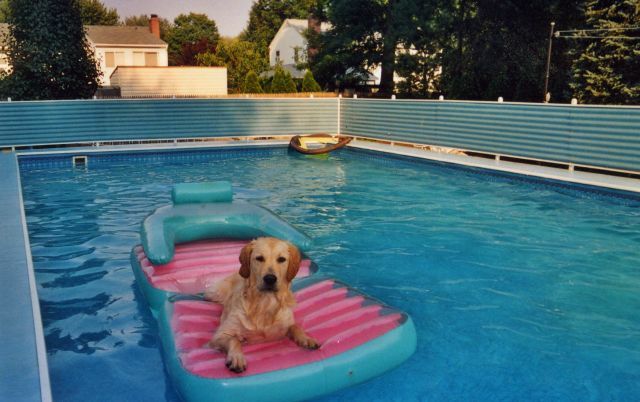 Then Janet and Andy sent a photo of Logan enjoying the end of the summer and their pool. 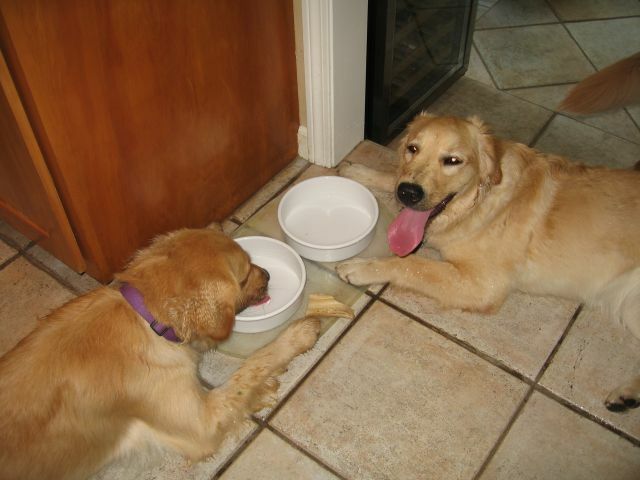 And my cousin Ron and his Barb just forwarded a few action shots of their Maggie and Sandy at the Newfield Dam. Three of our friends/clients were able to take advantage of Cindy Jones’ litterful of girls. It won’t be long before these young ladies are enjoying their new homes. As for our Riley and her possible pregnancy, the wait continues. I expect to do an ultrasound at the end of next week before I leave on my mission trip. 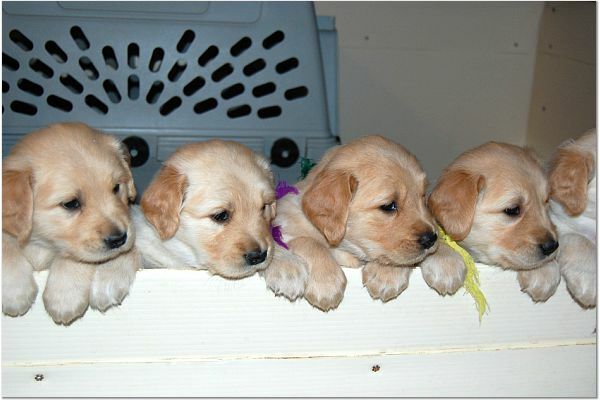 Puppies in the basket would make such a nice departure gift. 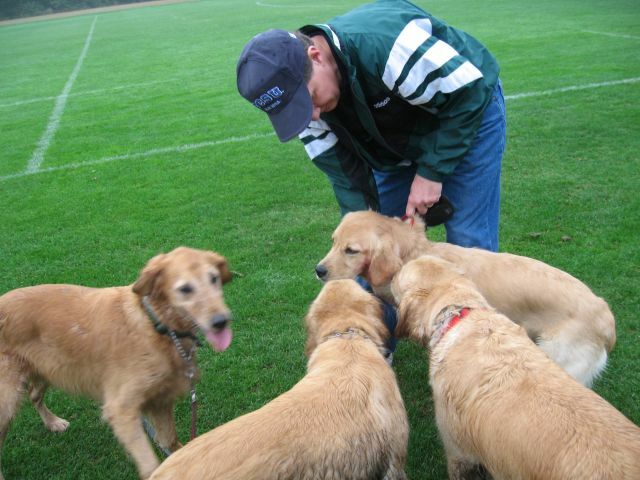 Coming home this morning after call, I had made plans to meet our neighbor, friend, and fellow golden lover, Ken Muccino, at the high school. 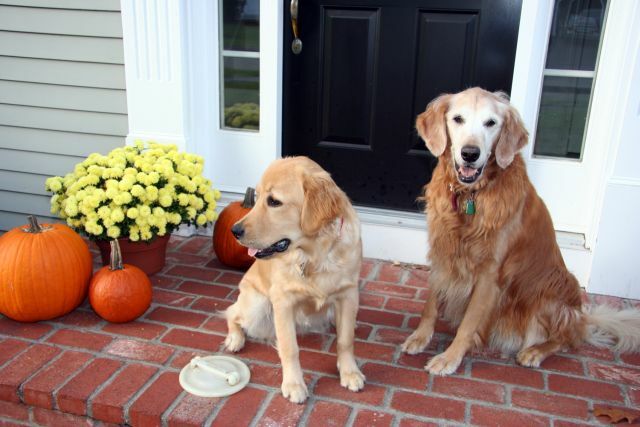 He left his twelve year old golden, Holly, at home and brought his almost one year old, Rosie. She is a littermate of our Lucy, and one of our Emma’s daughters. Emma is our five and a half year old, and the super alpha of the bunch. Despite our vigilence, she nipped Holly the first chance she had and actually drew a little blood. Both Ken and I marveled that when you see how protective a mother is of her new litter, it is amazing that once the pups are a few months old, all recognition of their former young seems to vanish. I guess the instincts are put there to insure survival of the newborn, but once everyone is grown, as adults they all compete in the wild for a limited amount of resources, and so survival of the fittest becomes the law of the land. As humans we have our multi generational family structure, and it is definitely a little sad to see a mom not recognize the animal she has given birth to! 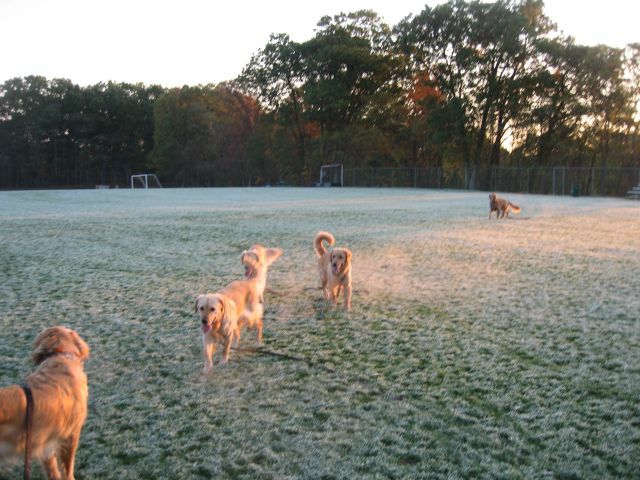 Anyway, Rosie seemed to have fun with the other dogs despite the little nip. She has grown into a beautiful young lady. She was the smallest of the three females in Emma’s last litter. 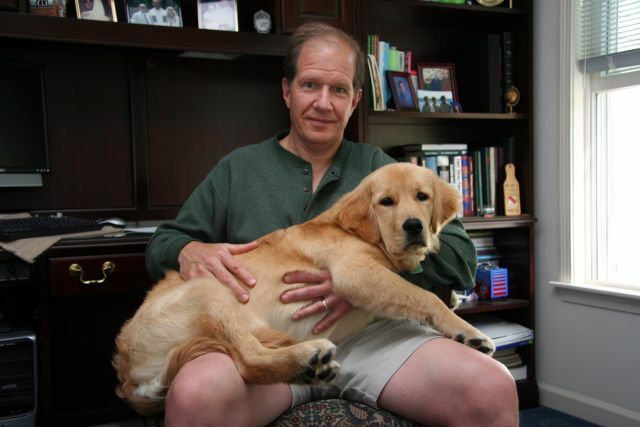 As you can see from the early and more recent photos below with Ken, she has certainly caught up in size. Hopefully, with more runs together, Emma will become a little more friendly towards Rosie. 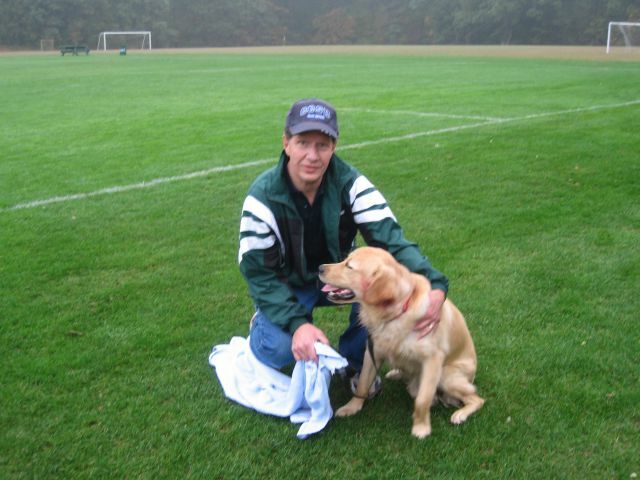 Then Ken and I can relax, and share some good conversation on the high school fields while the girls romp. 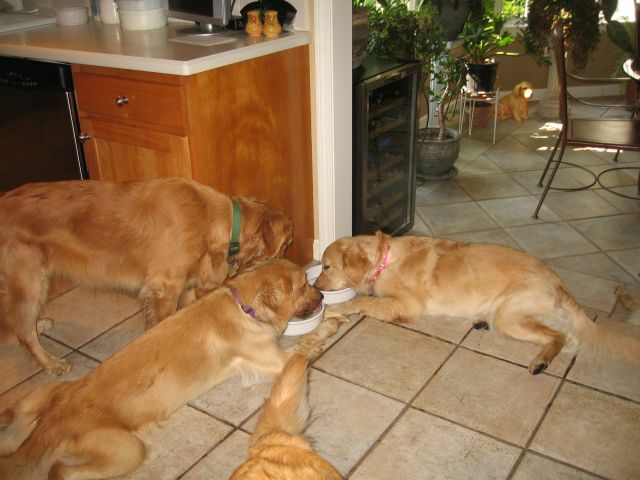 With our dog family here being so young in age, extra energy is always in abundance. And the girls have gotten very good at teaming together and distracting me enough that a run is a necessity even when I’ve just gotten home after a 24 hour call shift. If I can’t reduce that energy, then some destructive behavior is usually the result, especially with Solo and Lucy. So off we go and a good time is had by all once we are all out in the open. 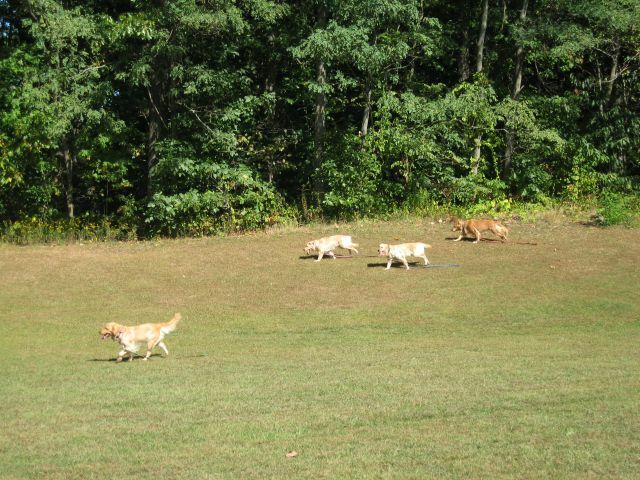 Now that we have been going on these runs regularly, the dogs are in very good shape. Riley is still a little chunky, but we are working on that. 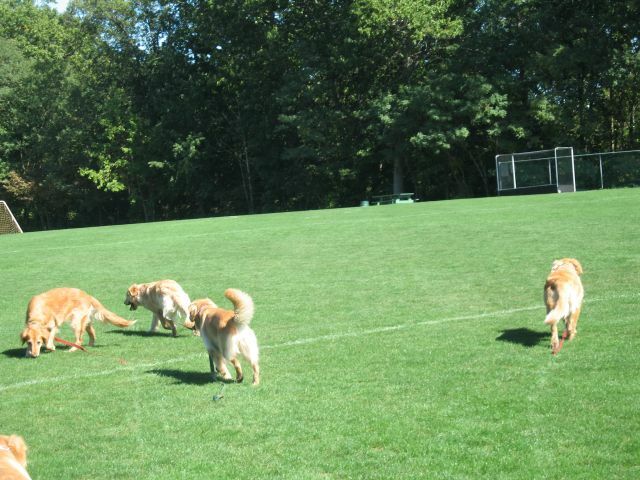 The energy required to keep everyone on leash and behaved until we get to the high school, and then be sure they stay out of trouble off leash on the fields is quite demanding. 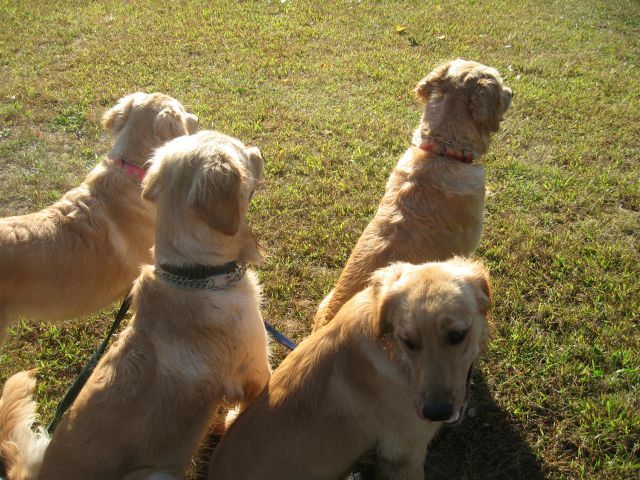 When holding all five on leash, they outweigh me in total by about 150 pounds. 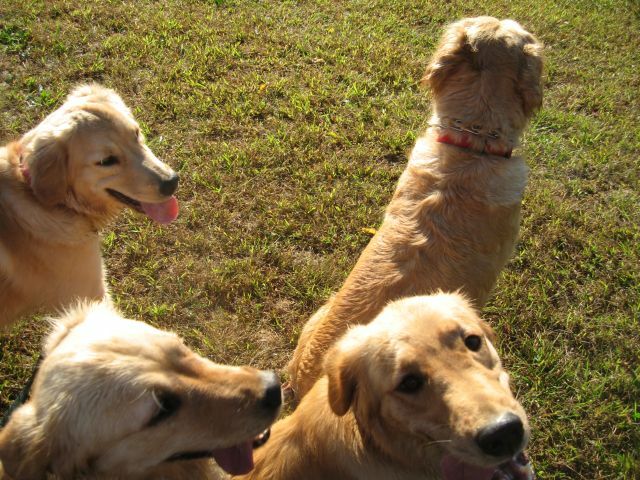 They are usually quite civilized, but occasionally group think seems to rule about a particularly close squirrel or other possible treat and then the going gets a little tougher. 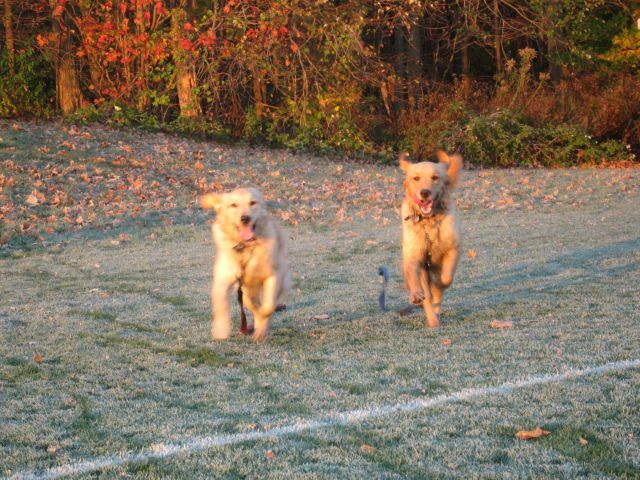 I noticed today that despite five quick miles for the dogs, they came home with the same amount of energy that they left with. That means they want to go further, and that is not a good thing for me or my aging body! The weather until this week has been unseasonably warm, so everyone works up quite a thirst. 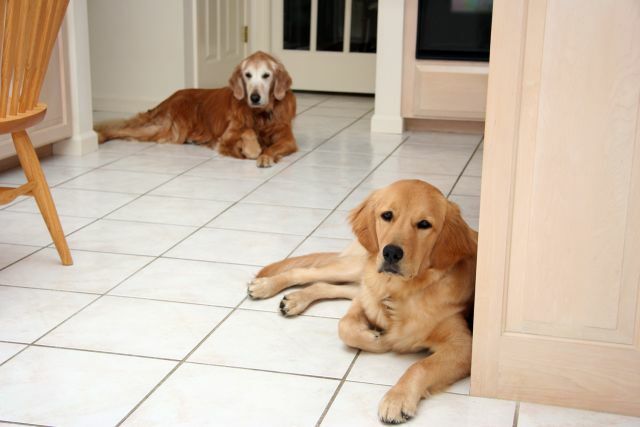 The kitchen tile is cool to come home to, and it doesn’t take long for everyone to stretch out around the water bowls and start to relax. Coming home, if nothing pressing is on the agenda, a short nap is just what everyone needs. If anyone has ever had a dog on their bed or cuddled their pet, you know how relaxing that can be. 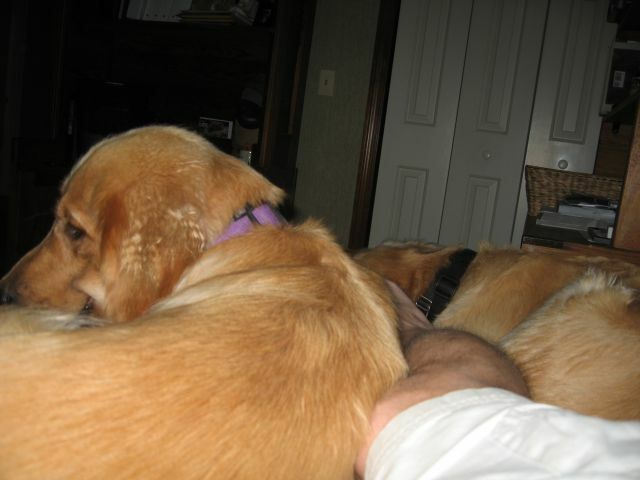 Of course when you have five big dogs that want to rest with you, there are some unusual configurations that result. 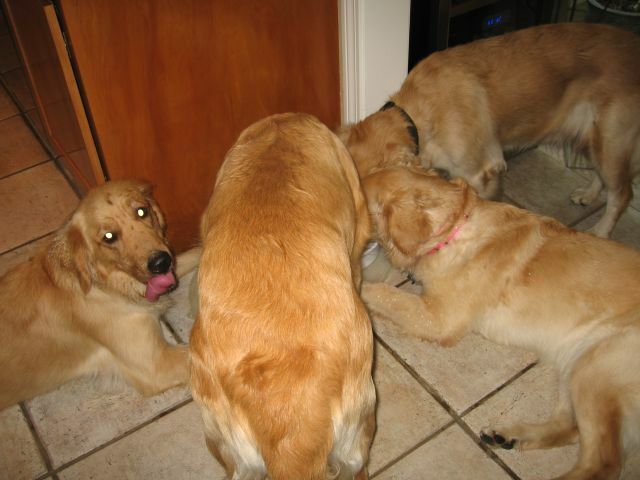 Twenty paws, five tails, and five noses all must find a comfortable spot. With over three hundred pounds of fur next to you, a blanket is certainly not needed. It takes about five minutes for everyone to find their space. Jockeying and jealousy occasionally happens. 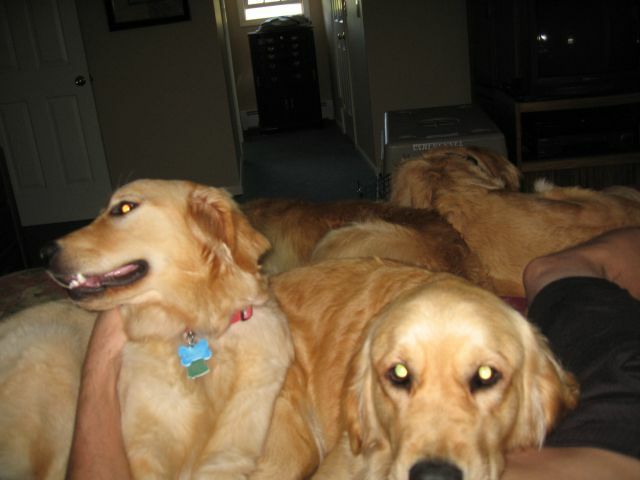 Each dog must be in contact with some part of your body before everyone settles down. For the dogs I think this brings back memories of the cuddling that went on in the whelping box as pups. Then the rise and fall of everyone’s breathing becomes a relaxing background noise that is unlike anything else I’ve found. Once everyone drifts off, the only interruption is the occasional short bark or growl with someone having a particularly vivid dream. 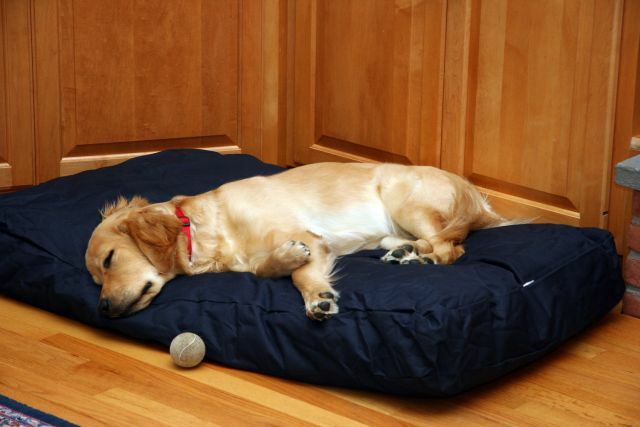 I recommend this experience highly, although realistically who lets five dogs sleep on their bed? Only here in dogville with us crazies I imagine. Still I would add this to the list of the 101 things you must do before you die if you are a golden lover. 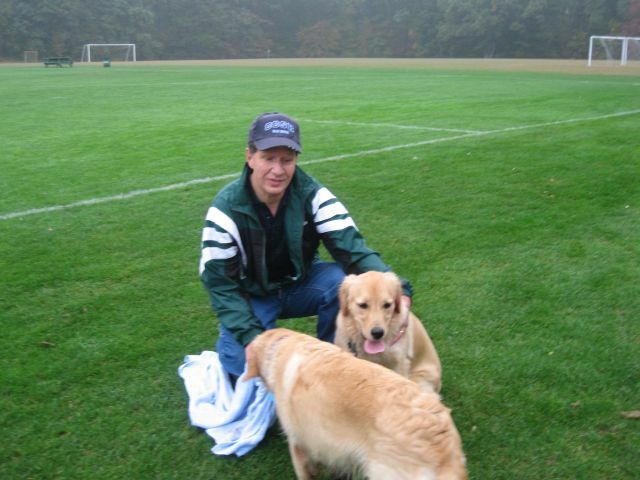 PS: Berna of Pebwin Goldens of Cape Cod has again so generously and graciously agreed to let me take her GRCA 2007 Golden Retriever Dog of the Year, Mulder, for Emma’s insemination when she comes into heat. The only conflict would be if he is already has an engagement with someone else at the same time. So while we wait to find out about Riley, we are still looking forward with further plans. Of course this would mean another marathon trip to the Cape of back to back eight hour segments. A small price to pay though for the very rare opportunity to use a sire of this unmatched quality. PPS: Congratulations to those who contacted Cindy Jones of Goldenjoy kennels regarding a female pup after the recent blog posting. 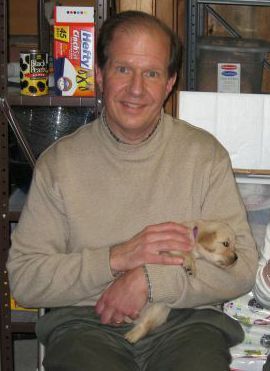 Some excited folks will be taking home a new puppy in the not too distant future!